Gas and moisture barrier protects food and locks in freshness. Cast nylon and polyethylene copolymer, containing vinyl acetate, resists grease. High clarity pouches have strong, 3/8" wide seals on three sides. Can be heat or vacuum sealed. Meets FDA and USDA specifications for food contact. 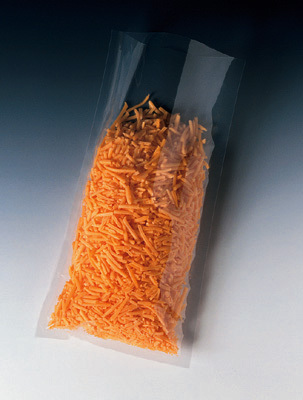 Call for details about specific food uses and cook-in style barrier pouches. Custom printable.